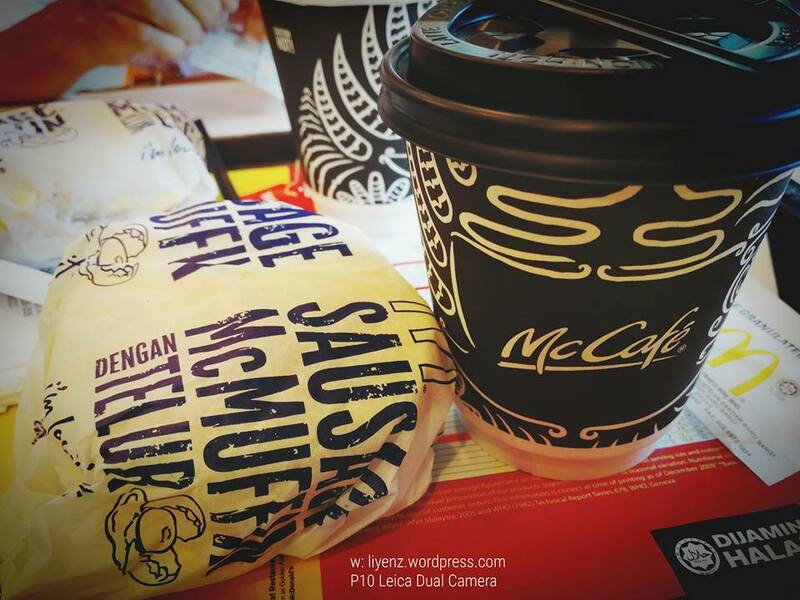 McDonald’s in Malaysia is having the mix and match for McBreakfast selection. I went to the McDonald’s located at Desa Pandan, Kuala Lumpur, Malaysia with my aunt last week, when I went back to KL for a short break. The mix and match selection allows us to buy two items with a fixed price which I think it is quite worth especially we do not want to eat the hash-browns. We ordered the two sets of the Sausage McMuffin with Egg with coffee. Instead of the usual McDonald’s paper cup, this visit they used the McCafe’s paper cup. Although there is some changes, the food quality remains the same and I love the coffee’s smell. I love spending the quality time together with my aunt especially I shared with her my work and my daily life in Singapore. She loves to hear all this stories from me.